On December 3rd, 2014, China’s largest nuclear power enterprise, China General Nuclear Power (CGN) raised US$3.16bn in an initial public offering in Hong Kong, pricing its offering at the top end of the price range as a result of strong investor demand. The IPO is Hong Kong’s biggest so far this year and the first accomplished by an atomic-power producer since that of British Energy back in 1996. It is also the largest IPO to take place in Hong Kong since China’s Everbright Bank raised US$3.2bn last December. Official trading of the company is expected to start on December 10th, 2014. Founded in 1979, the state-owned CGN generates 55% of China’s nuclear energy output. The company’s 11 plants are focused primarily on serving Guangdong, Fujian and Liaoning provinces as well as Hong Kong – all of which are economically developed but lack primary energy sources. The listed “China Guangdong Nuclear” part represents only about one fifth of the parent company: China General Nuclear Power Corp. In 2013, CGN reported a profit attributable to shareholders of Rmb4.2bn (US$685m), slightly up from Rmb4.1bn the year before; generating a ROE of 18.2% and 20.9% respectively over the past two years. The company is also highly leveraged with net debt of more than $12.5bn and a debt-to-equity ratio of nearly 200%. Such high numbers, however, are in line with the company’s China-listed competitors, but considerably higher compared to its U.S-listed peers. Thanks to the strong demand from both institutional and retail investors, the offer price per share in the IPO is set at HK$2.78 (US$0.36) which lies in the top end of the pre-determined price range of HK$2.43 – HK$2.78. Indeed, the company increased the portion allocated to the retail investors from 5% to 20% because the initial portion was oversubscribed by more than 250 times. Through the IPO, CGN is expected to sell 8,825m shares which will generate proceeds for about HK$23,925.7m. Moreover, the offer price of HK$2.78 values the company at 17.4x estimated 2014 earnings, whereas the producers of alternative energy are traded at 19.8x. According to the offering structure, the shares will be distributed through two main channels: a Hong Kong offering and an International offering. Through the Hong Kong offering, CGN is distributing 441.25m shares to the investors in Hong Kong, representing 5% of the total number of shares offered in the IPO. Through the International offering, the company is distributing 8,383.75m shares to the investors in US, Europe and Asia. Furthermore, CGN granted an over-allotment option to its underwriters, which gives them the right to allocate a higher number of shares than originally expected if demand is strong enough. The size of the option amounts to 15% of the initial number of shares listed and, if exercised, will allow CGN to raise an extra US$400m. The company also made agreements with 18 cornerstone investors, including: OZ Funds, Hillhouse Funds, CYPC international and Cinda Sinorock, who agreed to acquire HK$10,322m (US$1,331.0m) worth of shares. Market capitalization of CGN based on the offer price of HK$2.78 is approximately HK$122,668.0m and the pro-forma adjusted net tangible asset value per share is HK$1.38, considering the over-allotment options are not exercised. At completion of the offering, CGN is expected to recognise legal, accounting and other professional fees of around Rmb457.3m for the preparation of listing. 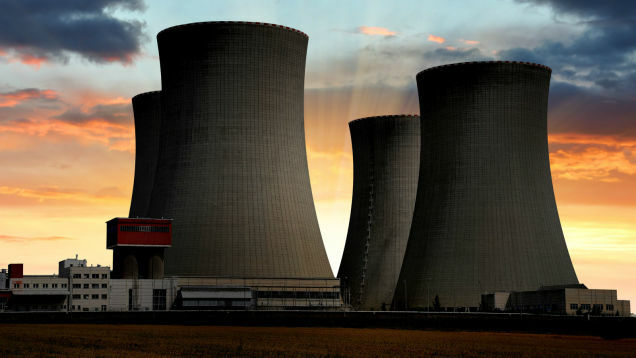 With the capital raised from the IPO, the company plans to increase the number of nuclear power generating units at ‘Ningde Nuclear’ and ‘Hongyanhe Nuclear’ plants, as well as to purchase additional 41% of equity interest in ‘Taishan Nuclear Power’ for Rmb9.2bn. The planned asset purchases are expected to double the company’s output by 2019. Some of the proceeds will also go towards research and development, debt servicing and an expansion overseas. CGN’s public offering came mostly as a result of the Chinese government’s efforts to reduce reliance on coal and substantiate China’s standing in nuclear energy. Coal currently generates about four-fifths of the country’s electricity and along with it creates considerable levels of pollution. In order to diversify its energy sources, the Chinese government is therefore placing much emphasis on cleaner types of fuel, among which nuclear power takes a high priority. Indeed, severe air pollution has made both the government and China’s citizens more than willing to take on the risks of nuclear energy, which has been losing traction in other economies. According to The Economist, China is therefore bolstering its nuclear infrastructure and plans to triple capacity by 2020. At a stark contrast to China’s nuclear expansion, the nuclear industry in Germany could hardly be facing gloomier prospects. As a part of a grand transition to renewables under the Energiewende, Germany plans to generate 80% of electricity from clean energy by 2050, with its last running nuclear reactors closing by 2022. Accordingly, Germany’s largest utility firm Eon, recently announced plans to radically regroup its business, spinning-off its operations in fossil fuels and nuclear energy into an entirely new company. Eon posted a 25% fall in profits for the period from January to October this year compared to the same period last year, with the national movement towards renewable energy taking a considerable toll. The spin-off is expected to be executed following shareholder approval in 2016, with Eon aiming to direct its efforts towards renewable energy and networks of distribution following the divide. What’s next in store for the Hong Kong exchange? The final month of the year is expected to bring a great amount of equity market activity to Hong Kong. Indeed, the CGN offering comes ahead of planned $1.5bn BAIC Motor Corp’s IPO, Sinopharm’s expected $716m share placement, as well as Dalian Wanda Commercial Properties’ listing which could be worth up to $6bn. Such a surge in activity will likely put Hong Kong’s exchange, which from January to November has attracted $17.7bn, ahead of Nasdaq and London Stock Exchange which have brought in about $21bn in new listings each. CICC, Bank of America Merrill Lynch, ABC International, Morgan Stanley, Goldman Sachs, BNP Paribas, CLSA, and ICBC are all acting as the joint global coordinators for the public offering.